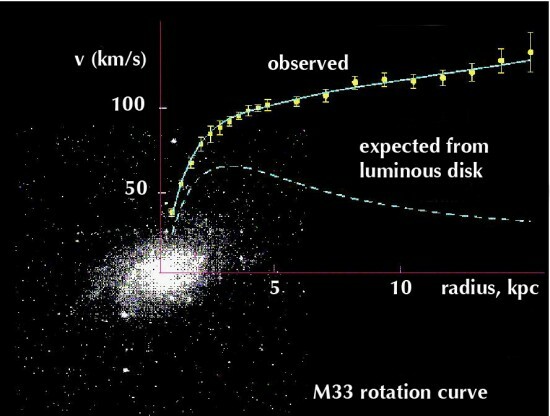 One of the reasons for the assumption of large amounts of Cryogenic (or Cold) Dark Matter (CDM) in the Gravity Model is to explain the observed rotation of galaxies. Astronomers have found that the individual stars in galaxies do not orbit the center of the galaxy in accordance with Kepler’s Laws for the motion of the planets. 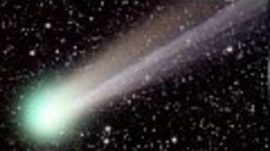 More specifically, the stars outside the central bulge of a galaxy all have approximately the same angular velocity, rotating more like a rigidly connected disk, but according to Kepler’s laws, the velocity should be less as distance from the center increases. A diagram of stars’ angular velocity (increasing upward on the y-axis) plotted against radial distance from the center along the x-axis, left to right, rises at first, then flattens out past the “bulge” as the stars all start to have more or less the same rotation rate regardless of distance. 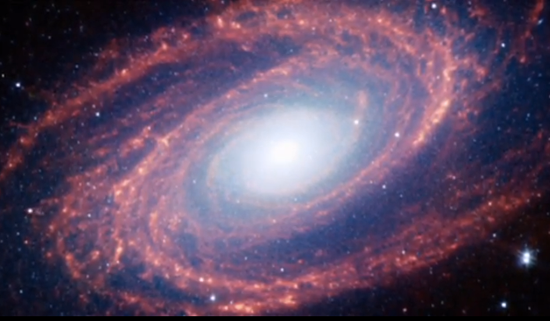 This is the puzzling “flat galaxy rotation” curve often discussed in science. Adding a large quantity of Dark Matter in a halo around each galaxy could modify the gravitational force sufficiently to make the stars behave in the way they do. This is now accepted as part of the Standard Model in astrophysics. Dark matter itself has never been directly observed or handled in a lab setting. It is dark, after all, by definition; and by definition only interacts via the gravitational force with “normal” observable matter. 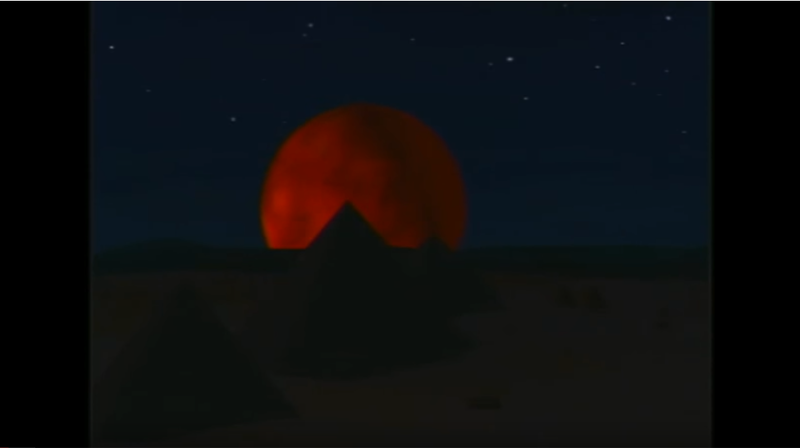 However, there is another way stars could be made to orbit a galaxy in this fashion. 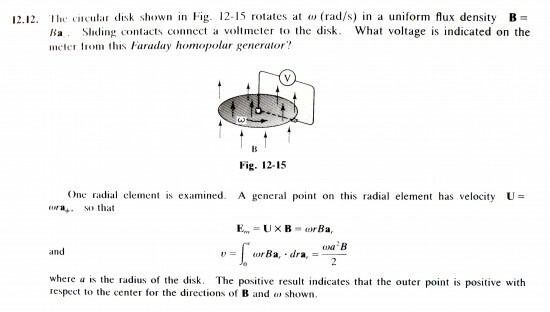 Michael Faraday found (circa 1831-1832, from The Electric Life of Michael Faraday by Alan Hirshfeld, Walker & Co., 2006) that a metal disk rotating in a magnetic field aligned with the axis of the disk would cause an electric current to flow radially in the disk, so he invented the first generator, known as a Unipolar Inductor, or Faraday Generator. 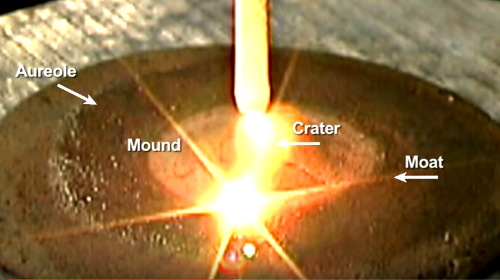 The effect eventually was proved to be a result of the Lorentz Force acting on the electrons in the disk as they moved across the magnetic field. If the current is supplied by an external circuit, the disk is made to rotate by the same force now acting on the electrons in the current. Of course the rotational velocity of the disk sets up different forces which oppose the driving current, and a balance is reached between the two. This arrangement is known as a Faraday Motor. Galaxies are known, through precise Faraday rotation measures (RM) of the polarization of the light they emit, to possess magnetic fields aligned with their axes of rotation, and they also have conducting plasma among their stars. 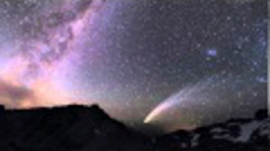 Assuming that currents exist in the plane of the galaxy similar to the equatorial current sheet known to exist in the Solar System, then the conditions appear to be similar to that in a Unipolar Inductor or Faraday Motor. Of course the disk in this case is not rigid. The exact mode of rotation would depend on the balance between the radial driving current and the rotationally induced opposing current, as in a Faraday Motor, but it is at least possible that it is these electrical effects that are causing the anomalous rotation that we see, not some huge quantity of invisible Dark Matter. 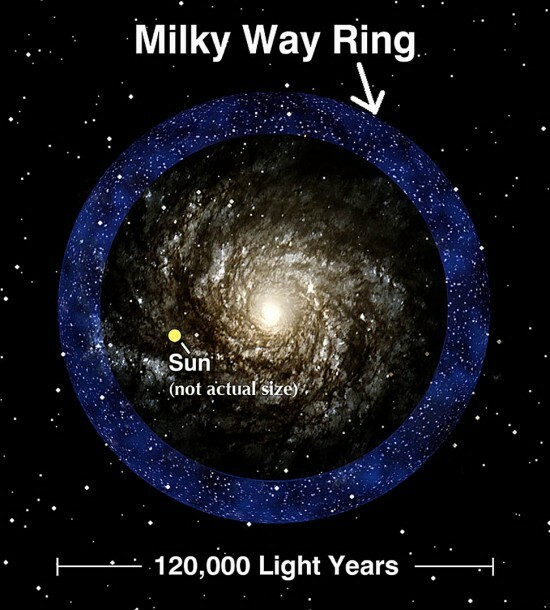 In this context, it is interesting to see the recent discovery by the Sloan Digital Sky Survey of a ring of stars in the equatorial plane of the Milky Way but outside our galaxy. The similarity with a toroidal current around a pinch in a large Birkeland Current along the axis of the Milky Way suggests that once again electrical forces on a galactic scale may be responsible for the formations we see. Structures similar to Faraday Motors have been observed in nebulae as well. 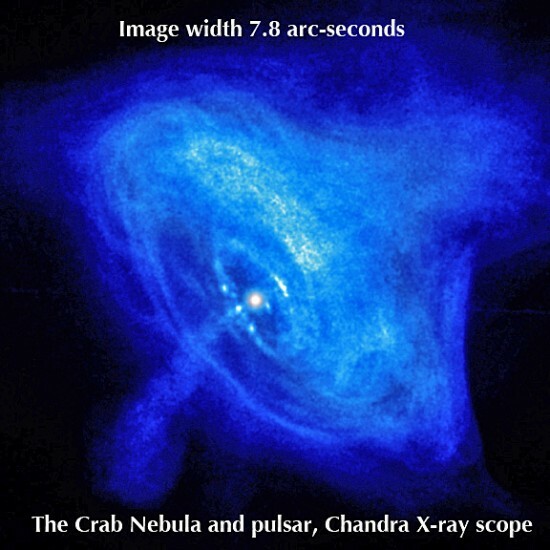 One of the most obvious examples is in the Crab Nebula, where the Chandra X-ray image demonstrates very clearly all the required elements of an inductor or motor arrangement. Anthony Peratt, who was mentioned above, has also carried out particle-in-cell computer simulations of interacting Birkeland currents. 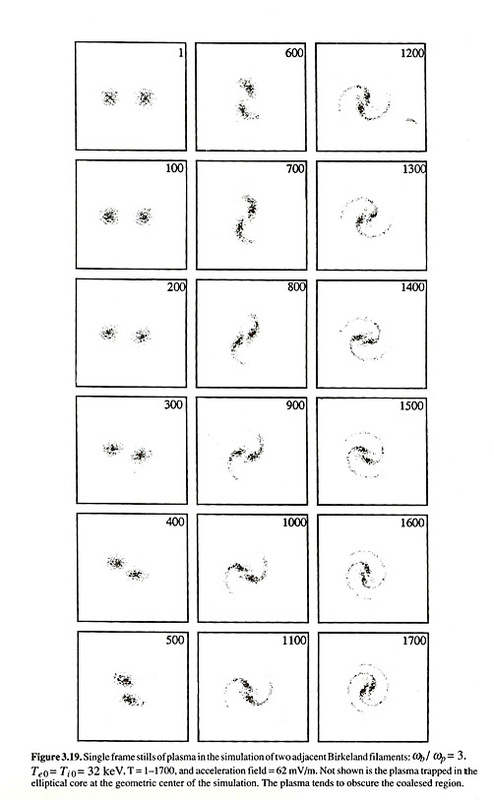 He found that the shape and rotational characteristics of spiral galaxies, including barred spirals, which are a very common form in space, arise naturally from the interplay of electromagnetic forces in large Birkeland currents. This result may help explain the origin of rotational energies in galaxies, which gravity-based theories find hard to do. 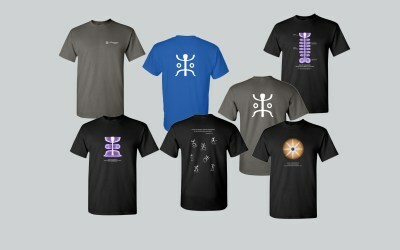 Faraday motor, Faraday rotation, galactic rotation. Bookmark.